Danny Torrance didn’t die in the Overlook Hotel but what happened there haunts him to this day. Not as much as the shining does though. His special mental powers that allow him to see the supernatural and read thoughts lead to him seeing some pretty nasty things, even after escaping the Overlook. He soon turns to drinking to escape the terror. But drinking solves nothing and just makes things worse. When he sees his childhood imaginary friend, Tony, in a small New Hampshire town, he turns to AA to try to turn his life around and learn to live with the shining. Abra is a middle school girl nearby in New Hampshire with a powerful shine. She sees the murder of a little boy by a band of folks calling themselves the True Knot. 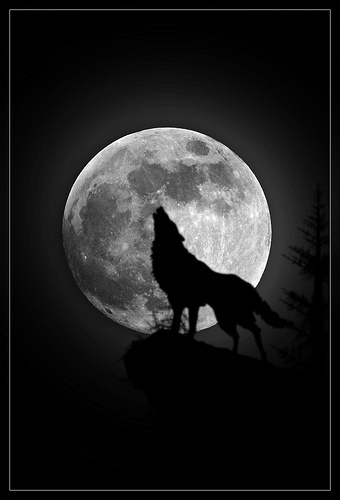 They travel in campers and mobile homes, seeking out those who have the shine to kill them for it and inhale it. They call it steam. They’re not human. And they’re coming after Abra. Abra calls out to the only person she knows with a shine too, the man she’s talked to before by writing on his blackboard. Dan. A sequel that takes the original entry’s theme on overcoming your family origin and ramps it up a notch, Doctor Sleep eloquently explores how our family origin, genetics, and past make us who we are today. All set against a gradually ramping up race against the clock to save a little girl from a band of murdering travelers. The book begins with a brief visit to Danny as a kid who learns that the supernatural creatures exist in places other than the Overlook, and they are attracted to the shine. This lets the reader first get reacquainted with Danny as a child and also establishes that the supernatural are a potential problem everywhere. The book then jumps aggressively forward to Danny as a 20-something with a bad drinking problem. It’s an incredibly gritty series of scenes, and it works perfectly to make Dan a well-rounded character, instead of a perfect hero of the shine. It also reestablishes the theme from The Shining that someone isn’t a bad person just because they have flaws–whether nature or nurture-based. That theme would have been undone if Dan had turned out to be an ideal adult. It would be much easier to demonize his father and grandfather in that case, but with the way King has written Dan, it’s impossible to do that. The way Dan overcomes both his drinking and his temper, as well as how he learns to deal with his shine, is he joins Alcoholics Anonymous (AA). In contrast to his father who tried to quit drinking on his own, Dan attempts it in a group with accountability. This then shows how much easier it is to overcome a mental illness with community support. I appreciated seeing this. I will say, however, that some of the AA talk in the book can get a bit heavy-handed. Some chapter beginnings include quotes from the book of AA, and Dan can sometimes seem a bit obsessed with it when he relates almost everything to something he learned or heard there. AA definitely plays a vital role in many people’s recovery from addiction, and it’s wonderful to see that in a work of fiction. However, it would have been better for the reader to see the role of AA more than to hear quotes from AA so often. The big bad in this book is a band of supernatural creatures who were once human and still look human. But they change somehow by taking steam and go on to live almost indefinitely. They can die from stupid accidents and sometimes randomly drop dead. The steam is acquired by torturing children who have the shine. The shine comes out of their bodies as steam when they are in pain. They call themselves The True Knot. This troop is a cartoonish group of evil people who try to look like a troop of retirees and some of their family traveling in a camper caravan. The leader of this group is Rose the Hat–a redheaded woman who wears a top hat at an impossibly jaunty angle. I was pleased to see Rose written quite clearly as a bisexual. Her sexuality is just an aspect of who she is, just like her red hair. Seeing a bi person as the big bad was a delight. Her bisexuality isn’t demonized. Her actions as a child killer and eater of steam are. She is a monster because of her choices, not because of who she is. I alternated between finding The True Knot frightening and too ridiculously cartoonish to be scary. I do think that was partially the point, though. You can’t discredit people who seem ridiculous as being harmless. How Abra is found by The True Knot, and how she in turn finds Dan, makes sense within the world King has created. It doesn’t come until later in the book, though. There is quite a bit of backstory and build-up to get through first. The buildup is honestly so entertaining that it really didn’t hit me until after I finished the book how long it actually took to get to the main conflict. So it definitely works. Abra is a well-written middle school girl. King clearly did his research into what it’s like to be a middle schooler in today’s world. Additionally, the fact that Abra is so much older than Danny was in The Shining means it’s much easier for the reader to understand how the shine works and see a child, who understands at least a bit what it is, grapple with it. This made Abra, although she is a child with a shine, a different experience for the reader who already met one child with a shine in the previous book. Abra is also a well-rounded character with just the right amount of flaws and talent. There is one reveal later in the book in relation to Abra that made me cringe a bit, since it felt a bit cliche. It takes a bit of a leap of faith to believe, and I must admit it made me roll my eyes a bit. However, it is minor enough in the context of the overall story that it didn’t ruin my experience with the book. I just wish a less cliche choice had been made. The audiobook narrator, Will Patton, does a phenomenal job. It was truly the best audiobook narration I’ve heard yet. Every single character in a very large cast has a completely different voice and style. I never once got lost in who was speaking or what was going on. More importantly to me, as a New England girl born and raised, is that he perfectly executes the wide range of New England accents present in the book. Particularly when he narrates the character, Billy, I thought I was hearing one of my older neighbors speak. I could listen to Will Patton read a grocery list and be entertained. Absolutely get the audiobook if you can. Overall, this sequel to The Shining successfully explores both what happened to Danny Torrance when he grew up and a different set of frightening supernatural circumstances for a new child with the shine. This time a girl. The themes of nature, nurture, your past, and overcoming them are all eloquently explored. There is a surprising amount of content about AA in the book. It could either inspire or annoy the reader, depending on their mind-set. Any GLBTQ readers looking for a bi big bad should definitely pick it up, as Rose the Hat is all that and more. Recommended to fans of Stephen King and those that enjoy a fantastical thriller drenched in Americana. 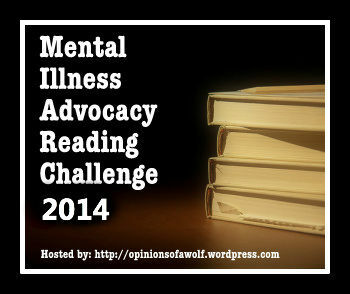 I love that you look for and comment on representations of mental illness in books! I’d read a bunch of reviews of this book and I don’t think anyone had mentioned the AA aspect of the story. Very interesting and a great review! It surprises me a bit that no one else has mentioned the AA aspect of the story, since it is such an important part of it! But perhaps most people just notice and focus in on the supernatural bit. Cross-Stitch #6: Sriracha Rooster Bottle Announcement: My Cross-Stitches and Patterns are Now Available to Purchase on Etsy! !